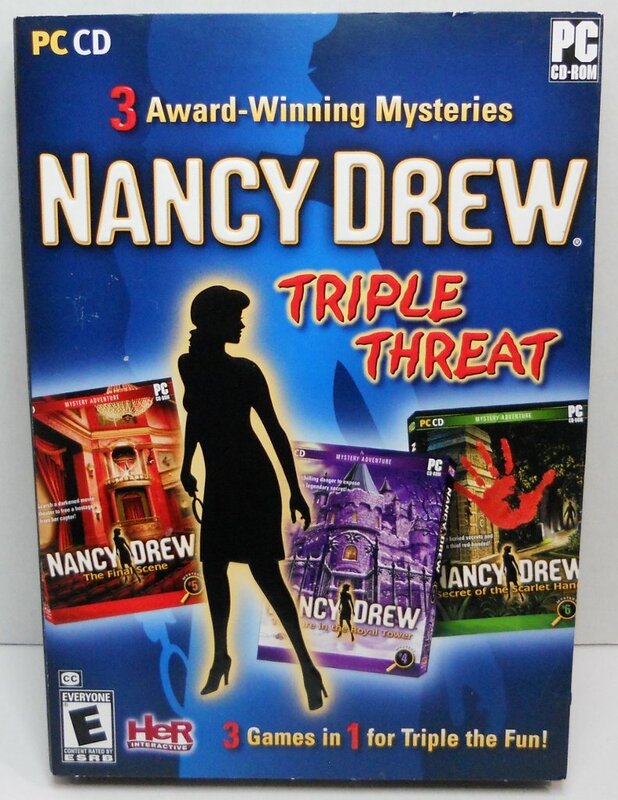 Nancy Drew: Triple Threat Mysteries PC games. A night at the movies turns into a nightmare when the final premiere at the Royal Palladium becomes a disappearing act for a friend. The historic theater will be demolished in just three days, and Nancy's sure her friend Maya is being held captive inside as ransom for the building! Is it a publicity stunt or a misguided scheme? A summer intership becomes a study in crime when a brazen thief steals a priceless piece of art. The culprit's blood-red hand print leads deep into the secrets of an ancient civilization. When a co-worker loses his memory in a suspicious accident, Nancy's on her own in a desperate search for clues. Do not see any scratches on disc. Condition: Very good+ to excellent...some discs show minor scratching, playable. 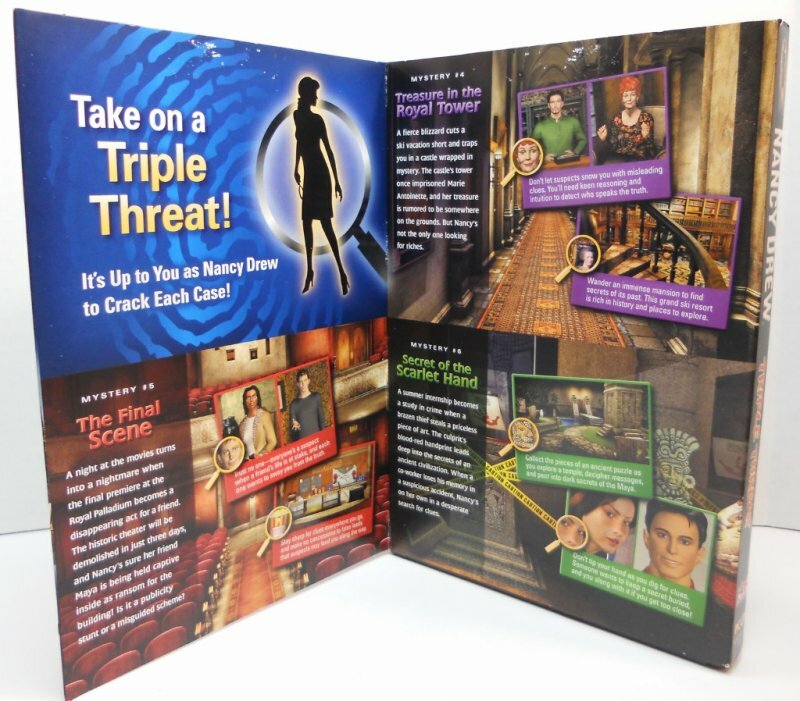 Ad inserts and inserts for Games #5 and #6, insert for game #4 missing. Shipping included. 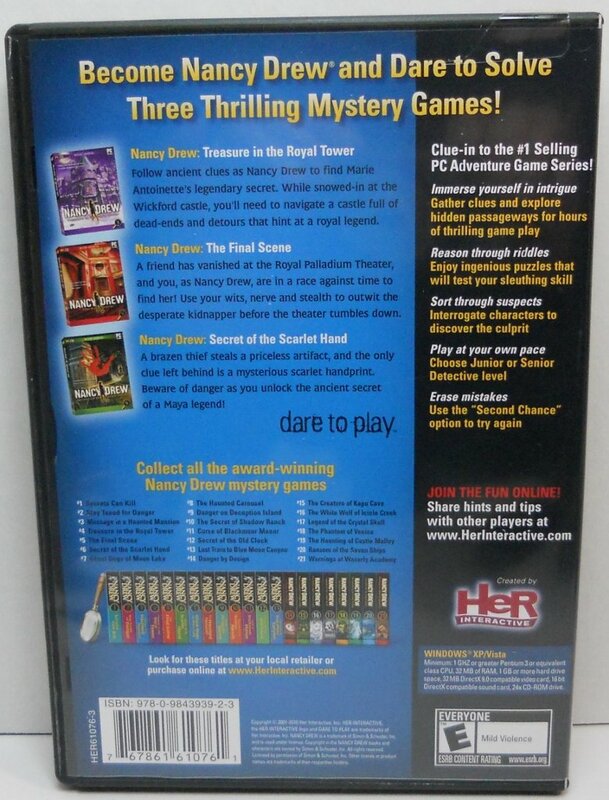 Discount $0.50 per Nancy Drew video game purchased.